Save ###s on our fantastic conference offers, simply call 01482 386341 *Terms and conditions apply. 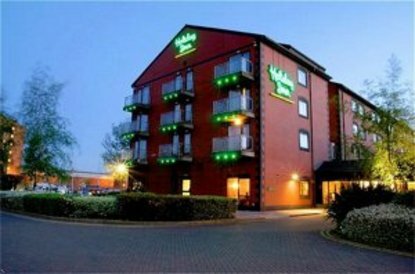 The Holiday Inn Hull Marina Hotel enjoys an excellent location close to East coast seaside resorts, and is an excellent base for visiting other major cities such as York, Leeds and also local attractions such as The Deep. The hotel combines an excellent range of facilities for both business and leisure travellers, our Executive Marina view rooms, which some boast balconies ideal for evening drinks. Facilities including 100 fully air conditioned bedrooms, High Speed Internet Access. Conference and banqueting facilities for up to 120 people and a Spirit Heath and Leisure Club which includes a swimming pool and beauty room. The hotel has 4 meeting rooms that will cater for all requirements from training courses, boardroom meetings and Conferences to Weddings and Dinner Dances. Ample free car parking is provided at the hotel.Our Hotel restaurant, lounge and bar offer tempting dishes from around the world including the famous Holiday Inn breakfast. Both accessible and family rooms are available at the hotel.The hotel provides an ideal base for visiting local attractions including The Deep, Beverley Race Course, Hull's Museums and the KC Stadium. This hotel offers free car parking to all guests plus the kids eat free.